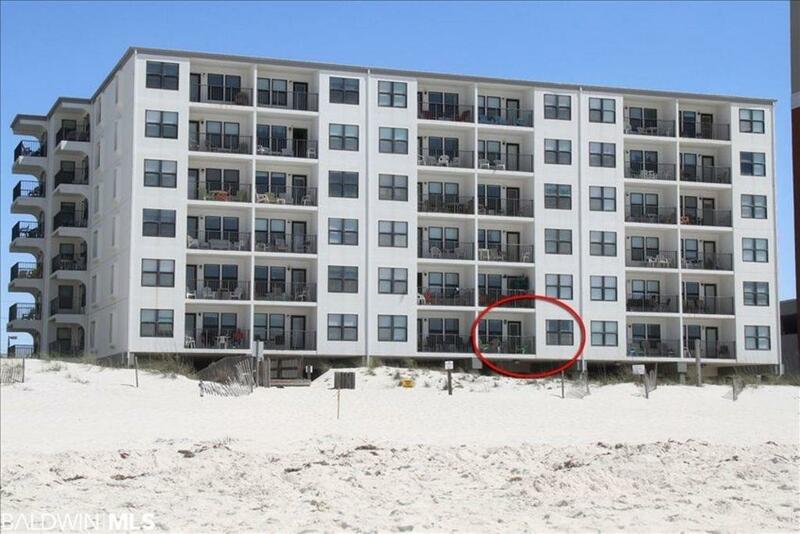 Look no further than this beautiful Gulf Front condo with a spacious balcony overlooking the Beach & Gulf of Mexico. 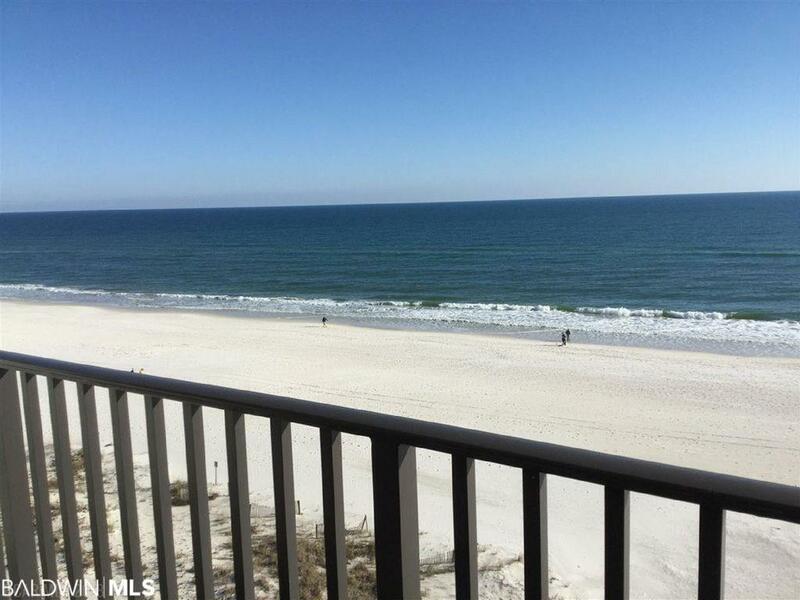 Listen to the waves from your Gulf Front master bedroom. 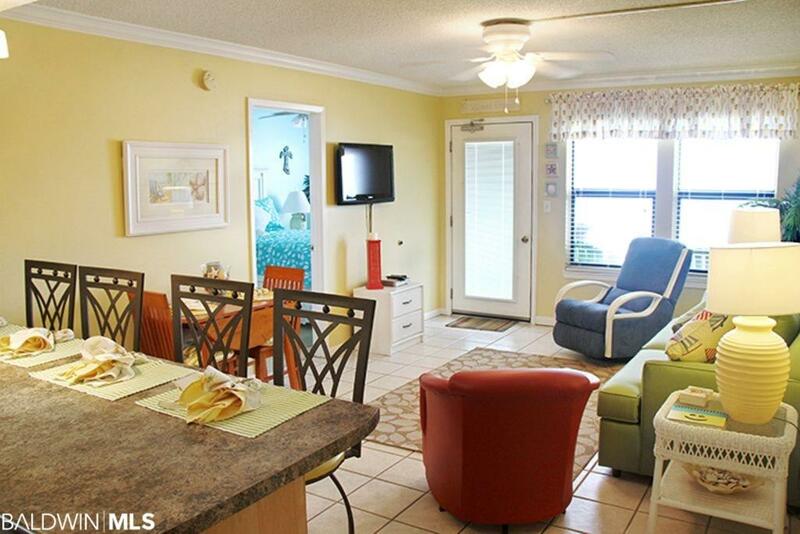 This condo has been recently updated with modern furniture and fresh paint. Unit has Washer & Dryer! The unit Sleeps 7 with ease. Located on the 1st floor provides easy access to the beach and swimming pool and just one flight of stairs down if you do not want to use the Elevator. DON'T NEED to DRIVE, YOU CAN WALK THERE :Fishing enthusiasts enjoy a 1500 ft fishing pier,Gulf State Park, Bike Trails, Restaurants, Souvenir Shops, Hang Out & Shrimp Feast Events, Sea & Suds and so much more!! Island Sunrise Community offers Wooden swings & Picnic area for outdoor grilling,Outdoor Pool and Boardwalk to Sparkling White Sandy Beaches, Community Carts, Ice & Vending Machines. Special and Inviting low-density building with just 60 units with Lots of Parking, NO HIGH RISE HERE. 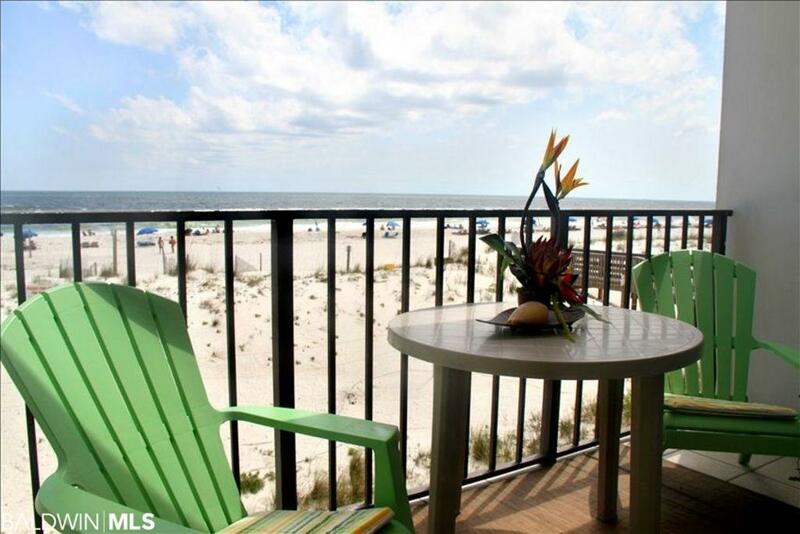 Come enjoy your Home or Vacation on the Gulf of Mexico. Salt Air is good for your MIND, BODY & SOUL! !